For those who attended our November meeting, thank you for helping to make our 25th Anniversary such a special occasion. Stuart chaired the meeting with his usual aplomb and showed us that he hasn&rsquo;t lost his touch. It was especially nice to see so many of our past Chairmen and Honorary Members again, and was touched to learn how well respected our Solent Association is seen by the London and Thames Valley branches. Our speaker Dianne Thompson gave a very inspirational speech with the confidence and vocal eloquence that you would expect from someone who has occupied such important and varied roles within industry. Rarely do we have the opportunity of meeting with people at the very top of their game and once again our thanks to Andrew Stembridge for introducing Dianne to us. Whether you attended the last meeting or not, this month&rsquo;s meeting is your last chance to enjoy each other&rsquo;s company this year. We want to celebrate what has been a much better year in commerce with the economy gradually starting to improve and filter through to many of our businesses. With that in mind our December meeting will be full of fun with a relaxed atmosphere. There will be no introductions at this meeting, but you will still have the opportunity to network at the pre-lunch reception at 12pm. Our speaker Adger Brown is a highly regarded comedian who has made many television appearances with top stars and promises to have us in fits of laughter by the end of our meeting. The website is now live for all to view &amp; use. The attendance luncheon form is now online (see Luncheon Form) and the website is secured with 256bit encryption, so your information is fully protected. The online Luncheon Form will enable you to add as many guests as you want and any specific dietary requirements. Once you have entered all your guest information, click Pay Online and you can securely complete your lunch booking. For those who prefer to print the form, this option is also available. Thanks to those members who have updated their profile, this does make the site look better and we would encourage other members to do the same. Please do make the effort to come along together with your guests and friends to what will be a Merry Christmas lunch, full of fun and frolics. Introducing one of the South’s leading and most sought after mainstream comedians. A veteran of the after-dinner circuit and a consummate professional. He has performed with many sports stars and celebrities at events up and down the country. 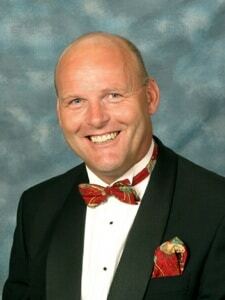 Now in his 30th year in show-business, Adger works mainly on the Corporate and Sporting dinner circuit along with Corporate and Charity Golf Days. He is an active member of The Variety Club Golfing Society, A barker with The Variety Club of Great Britain and a proud member of the Grand Order of Water Rats. This entry was posted in News on November 26, 2014 by splice.